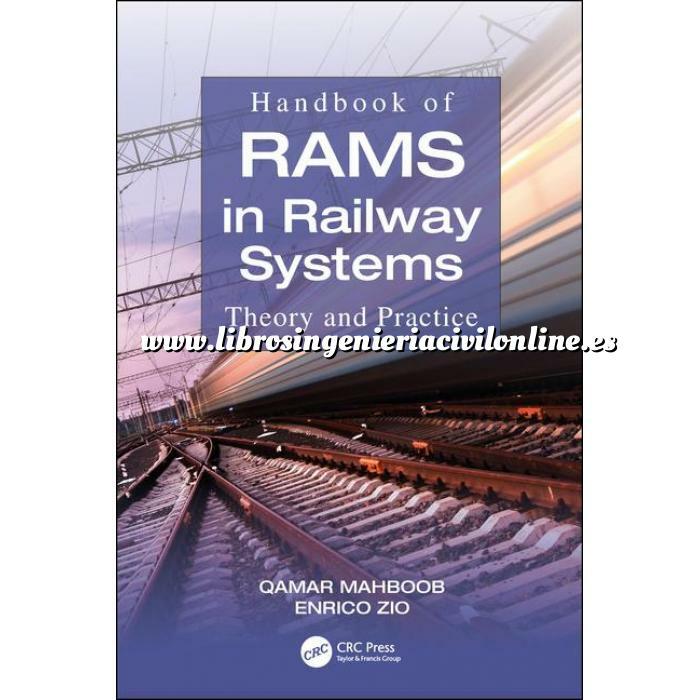 The Handbook of RAMS in Railway Systems: Theory and Practice addresses the complexity in today's railway systems, which use computers and electromechanical components to increase efficiency while ensuring a high level of safety. Basic Concepts, and Prediction and Estimation Techniques for RAMS. Introduction to the Requirements for Railway RAMS Management. Practical Statistics of RAMS Parameters. Basic Methods for RAM Analysis and Decision Making. Advance Methods for RAM Analysis and Decision Making. Framework for Risk and Decision Assessment in Engineering Systems. Methodologies for RAM and Safety Apportionment in Complex Railway Projects. Health Monitoring of Railway Assets within the Concept of RAMS. Human Factors in Railways and their Assessment. Introduction to IT Transformation of Safety and Risk Management Systems. Methods for Determining Safety Integrity Levels (SIL) in Railways. Maintainability Analysis Methods in Railways. CIFFA (Component, Interfaces and Functional Failure Analysis) for Combined and Improved Railway RAMS Assessment. Reliability Demonstration Tests: Decision Rules and Associated Risks. Application of Risk Analysis Methods for Railway Level Crossing Problems. Methodology and Application of RAMS Management along the Railway Rolling Stock Lifecycle. Demonstration of Reliability and Availability in Guided Transportation Projects. Modeling Reliability Analysis of European Train Control System (ETCS). Systems Assurance for the Railway Electromechanical Products. Formal Reliability Analysis of Railway Systems using Theorem Proving. RAMS Considerations for MEP and ICT Systems for Railways. Estimation of Spare Parts based on RAMS Outputs. Decision Support for Maintenance Engineering: an Integrating Approach towards RAMS. Decision Support Systems for Railway RAMS: An Application from Railway Signaling. Maintainability Analysis in Railways: Practical Applications. Special Topics for RAMS. RAMS and Security. Optimal SIL Determination in Railways using a Utility-Based Approach. CENELEC Standards for Railway Signalling. The Role of Independent Assessor in RAMS Assessment. Managing SIL Certifications: A Guide for Product Suppliers and Product Owners. Application of the Code of Practices for RAMS Assessment: Real World Experience from the field of Rail Electrification. Importance of Safety Culture for RAMS. Railway Security: Policy, Law, and Regulation. Target Reliability Studies for New and Existing Railway Engineering Structures.